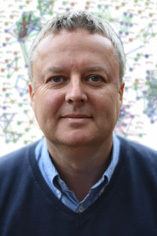 William Erskine is Director of the Centre for Plant Genetics and Breeding (PGB) at The University of Western Australia. He was at the International Center for Agricultural Research in the Dry Areas (ICARDA) in Syria as Assistant Director General (Research) from 2001-2007, Leader of the Germplasm Improvement Program (1998-2001), and Lentil Breeder from 1980 for 18 years. Scottish born, William completed a BA (University of Cambridge) in 1973, a MAg in 1976 in Papua New Guinea, and a PhD from Cambridge in 1979. My research interests are broad within the theme of plant breeding for food security - both nationally and internationally. I currently lead the major ‘Seeds of Life’ project in Timor-Leste funded by AusAid and ACIAR, and an ACIAR project on legume intensification in rice systems in Bangladesh. I also lead an ARC project on the pre-breeding of the pasture subterranean clover, which includes its recent sequencing. Professor Wallace Cowling is a canola breeder and researcher in The UWA Institute of Agriculture, The University of Western Australia. 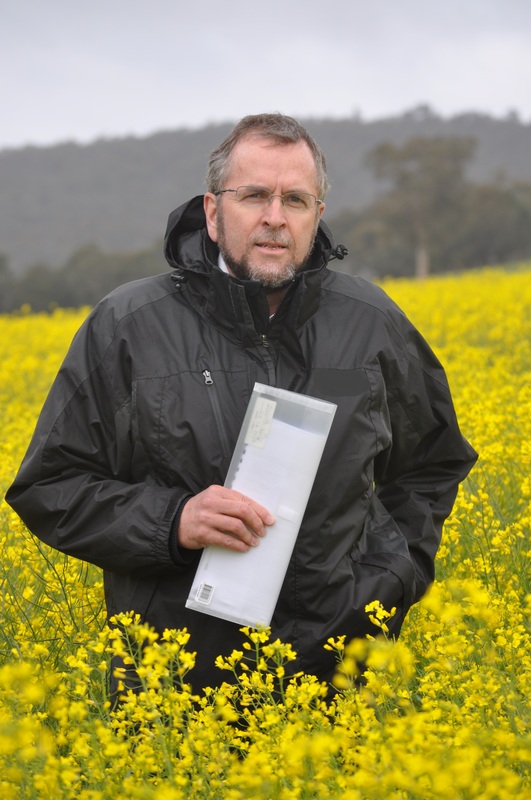 In his plant breeding career, Prof Cowling has released 7 lupin and 22 canola cultivars, and published 90 research papers in international journals. Currently, he is breeding hybrid canola for NPZ Australia Pty Ltd, through a research project privately funded by NPZA at UWA (70% time). Prof Cowling trained initially at The University of Melbourne for his undergraduate degree in Agricultural Science (1975), followed by a PhD in Plant Pathology at University of California at Davis (1980). 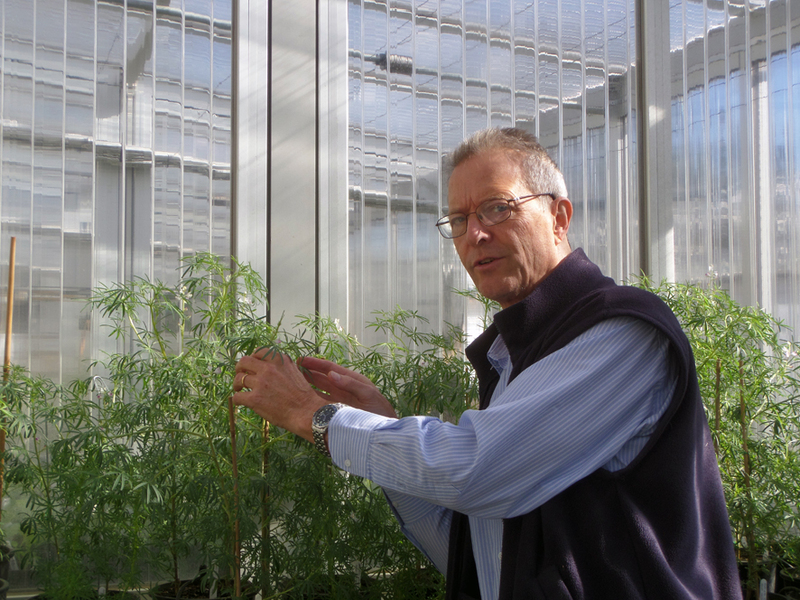 After two years on a postdoctoral fellowship at Cornell University, he returned to Australia to take up lupin breeding at the Western Australian Department of Agriculture in 1982. In 1999, he moved to The University of Western Australia, where he has competed successfully for public research grant funding, graduated 13 PhD students, contributed to teaching in plant breeding, and published widely in plant breeding research. My research goal is to apply knowledge of evolutionary genetics, molecular genetics and biotechnology for efficient genetic improvement in plants. In my research, I have applied the principles of population and quantitative genetics to plant breeding, and explored ways of improving breeding for multiple traits such as yield, disease resistance and other important agronomic characters. I am using the principles of the animal model to develop new breeding methods in plants, including more efficient genomic selection. I am concerned about the efficient use of plant genetic resources, and understanding and exploiting natural genetic variation in plants. I am from Bangladesh and did my bachelor degree with Hon’s and MSc in Botany from University of Dhaka, Bangladesh. I finished my PhD degree (2003) at the University of Western Australia, working on physiological response of wheat to soil waterlogging. My PhD supervisors were Dr Marcus Schortemeyer, Professors Timothy Colmer and Hans Lambers. After completion of PhD, I worked at the University of Western Australia, with Professor Timothy Colmer on physiological responses to salinity and waterlogging of wheat and wild barley (2003-2007) and with Professor Zed Rengel on nitrogen nutrition of wheat and barley (2010-2011). In between, I also worked at the University of Tokyo as a Japan Society for Promotion of Science (JSPS) post doctoral fellow on molecular responses of rice roots to soil waterlogging (2008-2009). Currently, I am working on an Australian Centre for International Agricultural Research (ACIAR) funded project on cropping system intensification and food security. Born and educated in India, Dr Kaur had spent many school holidays in rural northern India, where she enjoyed learning about farming through her uncle’s. Driven by her passion to do something for the farming industry she completed her Bachelor of Agricultural Science with Honors in Plant protection, at Punjab Agricultural University in India followed by a Master’s in Entomology. After completing Master's degree she was looking for some hands-on experience in the plant pathology area, and won an international postgraduate research scholarship to undertake PhD at UWA. Dr Kaur developed expertise in Molecular Biology and Insect/Pathogen Plant Interactions at the cellular level by exploring the pathogenic behaviour of Albugo candida on Brassica juncea and mechanisms of host resistance during PhD studied at UWA. Dr Kaur has been involved in the subterranean clover (Trifolium subterraneum L.) genomics ARC-linkage project (2011-2015) and also Meat and Livestock Australia (MLA) funded project (2013-2017) in the pre-breeding space for subterranean clover, and produced the world first genome scaffold for subterranean clover using the de-novo sequencing pipelines. This reference genome sequence will serve as a genomic resource of subterranean clover and facilitate identification of the genetic basis of agronomically important traits, which are vital for the future genetic improvement of pasture legumes. Having a fully sequenced genome will have profound implications for the pre-breeding and molecular marker development of subterranean clover. Presently it is being used to develop a haplotype map (HapMap), which will serve as a powerful tool enabling identification of the genes and genetic variations for important phenotypic traits. Bsc (Ag), HAU, China, MAg HAU, China., PhD UW, Australia. Ping Si is a Research fellow at the Centre for Plant Genetics and Breeding (PGB) at The University of Western Australia. She joined UWA in 1998 as a research associate in the School of Plant Biology on a canola GxE research project she applied for and funded by GRDC. Since then she has been continuously supported by GRDC on various projects. 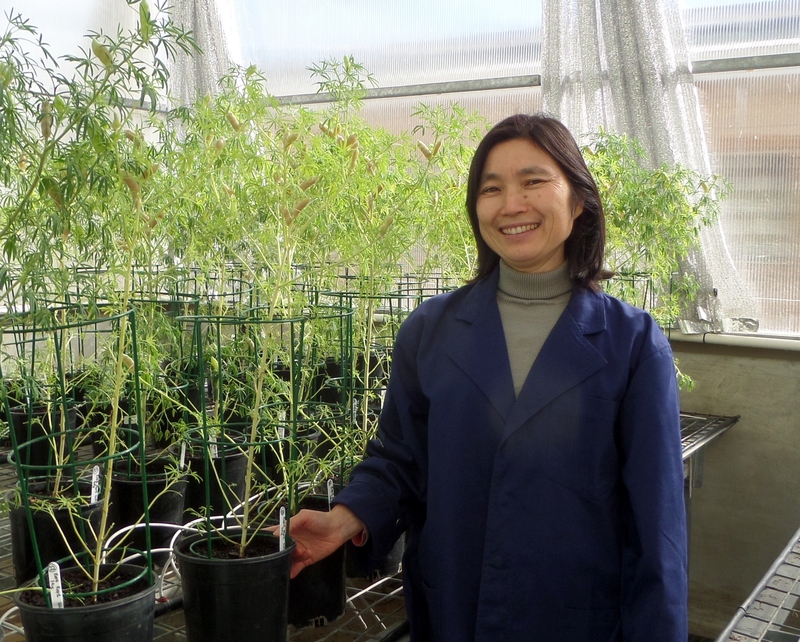 Her research for last decade has been focused on improving herbicide tolerance in narrow-leafed lupin and chickpeas, and she has delivered the outcomes to industry. Before joining at UWA, she was a subterranean clover breeder for 3 years at the Western Australian Department of Agriculture and Food. She obtained her Bsc (1982) and Msc (1985) on utilising self-incompatibility for hybrid seed production in canola from Huazhong Agricultural University, Wuhan, China, and PhD (1993) on physiology and genetics of low temperature tolerance in Brassica rapa from University of Western Australia. She worked for 2 years as research fellow at the Institute of Oilseed Crops of Chinese Academy of Agricultural Science. Building collaborations between UWA and Chinese Institutions are one of her favourite endeavours. GxE interaction of canola seed yield and quality across southern Australia. 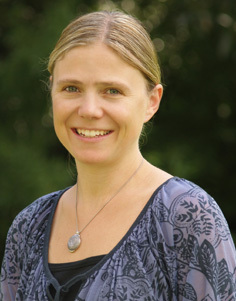 Janine Croser is a Project leader within the Centre for Plant Genetics and Breeding (PGB) at The University of Western Australia. Her main research interest is innovative plant breeding technologies to accelerate genetic gain, working with pasture and grain legumes, oilseeds and specialty crops. Dr Croser began her career in cell biology at The Victorian Department of Agriculture, undertaking research for Monsanto and VanderHave Research NL, before completing her PhD with The University of Melbourne. She undertook postdoctoral training at the University of Saskatchewan before joining The University of Western Australia in 2002. She is currently CI on two GRDC projects and collaborating on a MLA project. Accelerated generation turnover in pasture and grain legumes. Cell biology of legume and oilseed crops. Phytoalexins and their role in plant protection. Doubled haploidy and single cell culture. Introgression of wild germplasm for crop improvement. Federico Ribalta is a Research Associate at the Centre for Plant Genetics and Breeding (PGB) at the University of Western Australia. He undertook his studies at the Faculty of Agricultural and Forestry Sciences at the National University of La Plata (UNLP), Argentina. Federico completed a degree in Agronomy in 2006, a Masters of Agricultural Sciences (UNLP and INRA, France) in 2008, and a PhD in 2014 (Grains Research Scholarship, GRDC). Federico currently works in a GRDC funded project: Tools for accelerated breeding and screening for abiotic stress in grain legumes” (UWA00159). In Spain I did my Biology studies at University of Murcia and my MSc at Polytechnic University of Cartagena. In 2007, I began research towards a PhD (IMIDA fellowship), under the supervision of Dr Mercedes Dabauza. During that time, I developed a wide research portfolio on, (i) elicitation of production of trans-resveratrol by genetic modification in V. vinifera and enhancing production of furanocoumarins in B. bituminosa; (ii) in vitro tissue culture in V. vinifera and B. bituminosa; and (iii) molecular genetic diversity analysis of B. bituminosa using markers, developed by next generation DNA sequencing at the School of Plant Biology, (project co-funded by IMIDA). In 2012, after the completion of my PhD, I worked at IMIDA with the research group of Dr Francisco del Amor in Plant Biotechnology applied to the optimisation of plant nutrition, water efficiency and quality products, in relation to abiotic stress and climate change. Currently I am working with Janine Croser research group in the development of technology for acceleration of generations in the legumes (viz. field pea, lentil, lupin, subterranean clover and chickpea) as well as in the study of genetics of wild germplasm and gene-pool expansion in chickpea. Accelerated generation turnover in pasture and grain legumes, introgression of wild germplasm for crop improvement. I gained an Honours degree in agriculture from the University of Nottingham and a PhD from the Department of Plant Science, University of Cambridge, UK. I have engaged in research in a range of organisms but with a focus on crop plant genomics. Following my PhD studies which identified functionally conserved genes between plants and fungi, I worked briefly in the Genetics Department of the University of Cambridge on rice genome structure before joining Long Ashton Research Station, Bristol, UK. During my time in Bristol, I studied tissue specific gene regulation, cereal gene function and bioinformatics. We developed cereal microarrays for both high throughput transposon mutagenesis and gene expression profiling along with computational tools for sequence data analysis and molecular marker discovery. I joined the Victorian Department of Primary Industries in 2002 to lead a team in Brassica genomics and establish capabilities in bioinformatics. I established a strawberry genomics program and led Australia’s participation in the Multinational Brassica Genome Project. The computational biology group was particularly successful, with established international linkages and capabilities demonstrated through student and staff training as well as numerous peer reviewed publications. In 2007, I moved to the University of Queensland as an Associate Professor (level D) to support bioinformatics for the Australian Centre for Plant Functional Genomics and establish a research group in applied bioinformatics. In 2011 I was promoted to Professor (level E). During this period, I established a dedicated applied bioinformatics research group and contributed to honours and masters level courses in plant science and bioinformatics. Research during this period led to 69 peer reviewed publications including high impact journals such as Science (4), Nature Genetics, Nature Biotechnology, Nature Communications and Genome Biology (3), funded by more than $10m in competitive research grants. In January 2015 I accepted an ongoing position as Professor in cereal genomics at the University of Western Australia. My current research activities include the characterisation of complex plant genomes, translational genomics and genome informatics, with a focus on wheat, Brassica and chickpea crops. My areas of interest include genetic and genomics analysis and specifically, genome sequence analysis and the development of molecular genetic marker systems for applications such as genetic diversity, genetic mapping, LD and comparative genomic studies and the molecular characterisation of agronomic traits. I have a large interest in understanding blackleg resistance in Brassicas.